Genuine pro-weave, hot pink sweatshirt blanket with "Butler Grizzlies" imprinted in white. 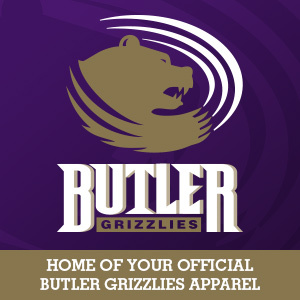 Dimensions 54"X84"
Genuine pro-weave, orchid sweatshirt blanket with "Butler Grizzlies" imprinted in white. Dimensions 54"X84".